Autumn is a time for woodland walks, collecting interesting things along the way and looking out for animal homes and habitats. As a child we had nature tables at school and we were encouraged to bring in conkers, sticky buds, acorns and leaves. I used to love to walk in the woods and collect things. We’d put nuts and conkers in their cases in the airing cupboard until they opened. I used to lie in the grass scouring the leaves for 4- leafed clover. I found one when I was about 6 years old. I looked after it all weekend and on Monday carried it to school as the prize exhibit for the nature table. The temptation to fiddle with it however, was so great that on the way one of the leaves fell off. I turned up with an ordinary clover and a loose leaf and so no-one believed me. We’ve been foraging for Autumn things this week. In the garden we have an abundance of Fir Cones, Maple Seeds and coloured leaves but we wanted to find other things like acorns and conkers. I asked a friend where we might find conkers. Conkers? What are they? was her reply. I found a single, solitary conker that had managed to make its way with us from England. Oh, it’s a bit like a chestnut. Yes, a rounder chestnut and the casing is different, with larger more spaced out spines and they are poisonous. 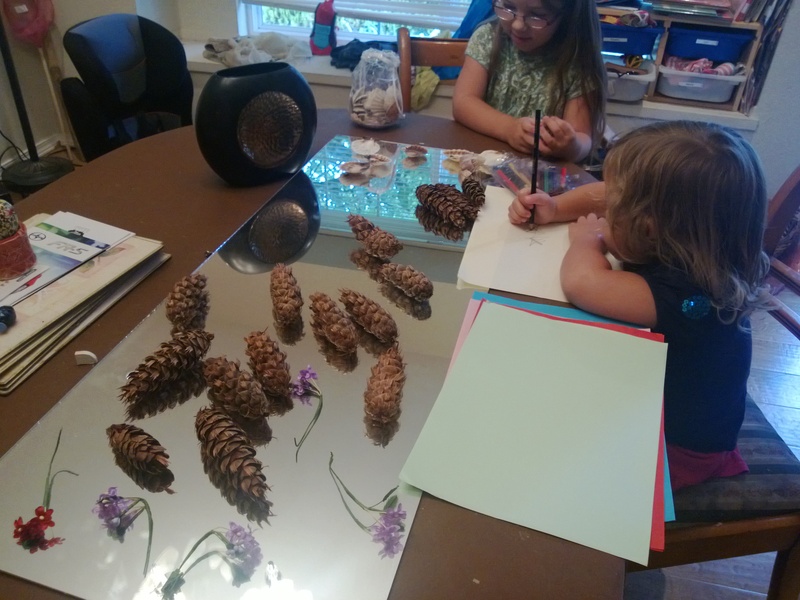 Outside the girls ballet class we found a variety of different pine and fir cones from tiny ones in clusters to great big narrow ones. We walked in the woods to see what else we might find. We found….. more pine cones, …. more maple seeds,… more maple leaves but nothing different. I suppose we often take the things we have in our environment for granted – I love the towering Evergreens we have here, mixed in with the colours of the Maples but I do miss conkers and acorns. Wild animals on the other hand are extremely varied. We watched huge salmon jumping in the river, saw enormous yellow butterflies and watched a small snake basking in the sun. Our favourite visitors are hummingbirds. The first time I saw one I thought it was a dragonfly but when it rested on a flower I was so excited to discover it was a hummingbird. I had no idea hummingbirds were native here. I read up about attracting them to the garden and bought a hummingbird feeder that we fill with 4 parts water to 1 part sugar. We now have regular visitors outside our window. Of course there are also the more scary types of wildlife. 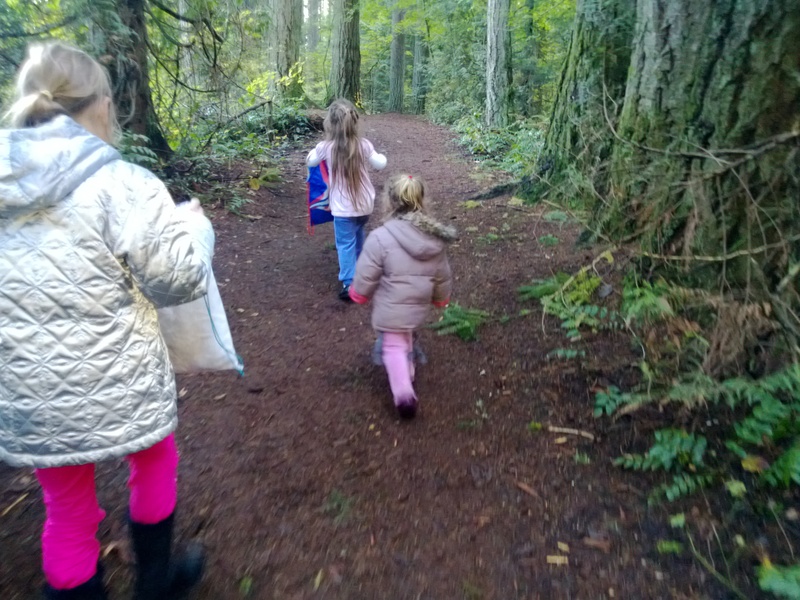 The ‘ballet moms’ were talking about finding bobcats, cougars and coyotes in their garden and black bears on woodland walks, especially near the rivers now that the salmon are spawning. You can take the questionnaire to see how connected your children are. If you are outside of the UK, the report also gives you the criteria used for the questionnaire so that you can investigate how connected children are in your area. I think the sense of oneness is an interesting one. How young was I when I first felt a sense of oneness with nature? 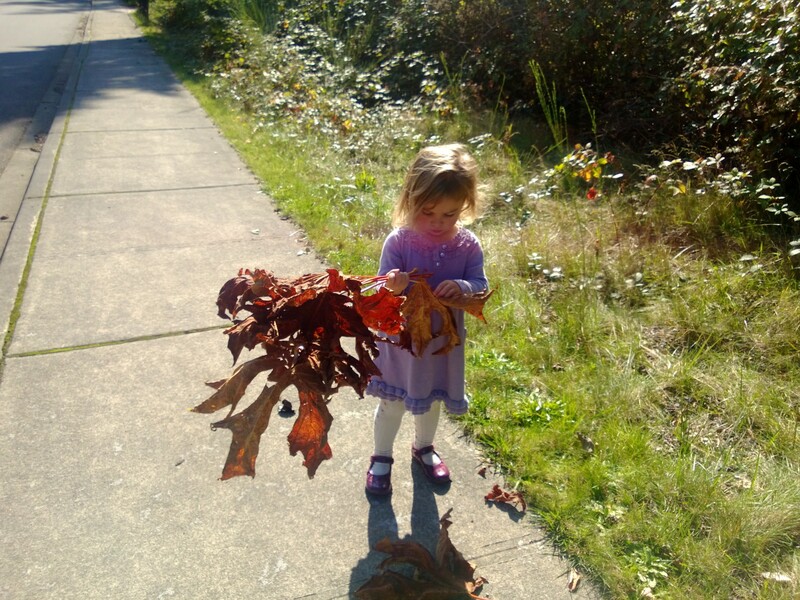 I know my youngest daughter will always choose to go outside collecting sticks, pouring rainwater and arranging stones – is this an early sign of oneness with nature? My eldest daughter emphatically announced that she felt peaceful when she was in a natural environment. 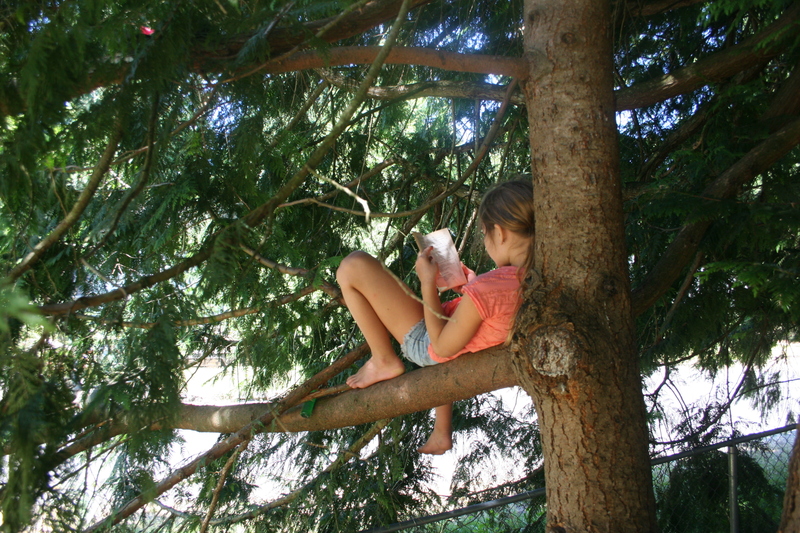 In a household with 2 noisy pre-schoolers her favourite haven is reading a book in a tree in the garden. I know for me, I feel at peace by the sea or in a woodland, both places I spent a lot of time in as a child. I can’t wait to visit the National Parks here in the US, to see the amazing diversity of the natural world here. Connecting with nature has many benefits from physical activity, mental health and a sense of well being, education, social interaction, empathy and the impact on the sustainability of the natural environment. The study found that only 21% of children aged 8-12 in the UK have a connection with nature at a level that is realistic to their age. Surprisingly girls are more likely than boys to connect with nature and urban children more likely than rural children. Further studies will be undertaken to determine why this might be. Looking at the questionnaire I think it may be that the questions are angled at more feminine pursuits, feeling peaceful in nature, collecting shells, listening for sounds and taking care of animals are not exactly cool for young boys. The research will add to the growing evidence base about children and nature. This includes a study by Natural England which suggested that factors contributing to connection are in decline. It reported that only 10% of children in the UK played regularly in natural places in 2009, compared to 40% in the 1970s. Getting children out in the natural world when they are young won’t guarantee a continued interest once the world of school, clubs, homework and computer games takes over but it will certainly put them on the right track. The environmental identity developed by children between the ages of 3 and 7 is an emotional affinity towards a specific aspect of nature which had been strengthened by providing positive experiences with nature on a regular basis. (Karls and Ittner 2003). Some researchers also believe that there is an optimal moment usually between the age of 6 and 12 which form a person’s attitude to nature; perhaps the 4 leafed clover was mine. The boys have a huge amount of empathy for creatures great and small. I have a stash of twigs. stones and shells above the washing machine from when I empty their trouser pockets. They also are great tree climbers as you know. If there are blackberries in the field, apples in grandmas trees or mulberries in our garden, they are over the moon. i love this post! autumn is my favouriute season and there are just so many fun things you can do outside due to the abundance of ttreasures that mother nature leaves for us. i so enjoyed your tale of the 4 leafed clover that you found – such a shame that by the time you got to show it off it was no more! what a fun filled autumn! it is a great time of year. Love your montage of images! I used to love gathering things for the school nature table too! I was only thinking about that the other day. 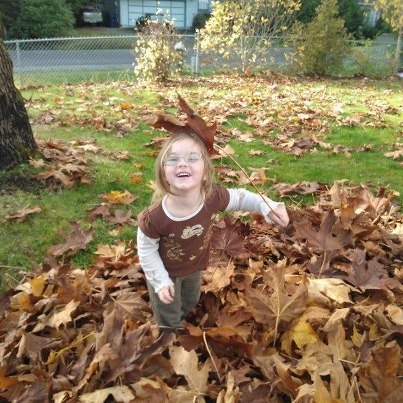 What a lovely group of images and Autumn sounds fun with you and your family. Lovely post, and some interesting thoughts, must check out that RSPB report. My sister has hummingbirds in her garden (New Mexico) and they are so lovely to watch – well done catching a photo! How wonderful to have hummingbirds visit your feeder – they must be mesmerising to watch. Not sure I like the idea of coming across a bear or cougar while out on a nature walk though! Autumn is a beautiful season full of fantastic colour and treasures for the children to discover on a nature walk and a fantastic first hand education of appreciating the world around us. 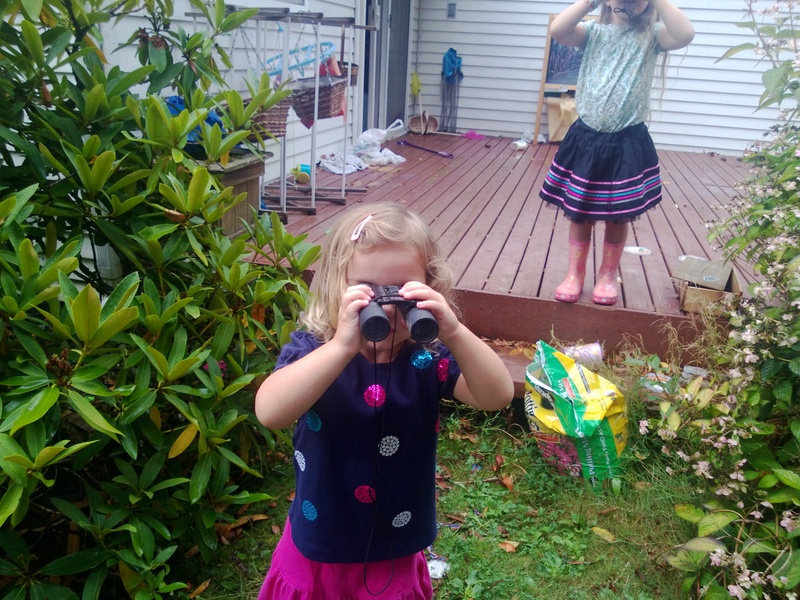 Thanks for linking up your fab photos of your outdoor adventures with Country Kids. I’ll have to check out the RSPB report – thank you for highlighting it. The trick is to start them young and make sure its a normal part of their lifes. All three of my children love being outside and love nothing more than sharing a nature find. Must be bucking the trends here, as we are rural and have one small boy in our midst! Love those photos of the humming bird.